Lots of non-official additional cars were available on internet. Some of the bests were made by Thomas Egelkraut: they were better than the official cars included in the game! I finished with the non-locked cars. I'll add the unlockable & police cars later. Wasn't there a modified Civic? 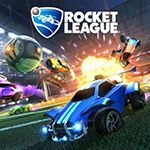 As playable car? I do not think, these were officially licenced cars, but there was no Civic. qwerty_86 wrote I think that was an add-on. I have it for Playstation and I have a Caprice. In fact, when I was playing the game at the store's demo unit a long time ago, the Caprice was the only thing that convinced me to buy the game. I was thinking of Need For Speed: Hot Pursuit 2, where the starting police car is a Crown Victoria. and some SUV that looks really generic... don't know what it is. Was the first NFS with "tuning"
Might have to give this one a look. To date, the oldest NFS game I have is Hot Pursuit 2. 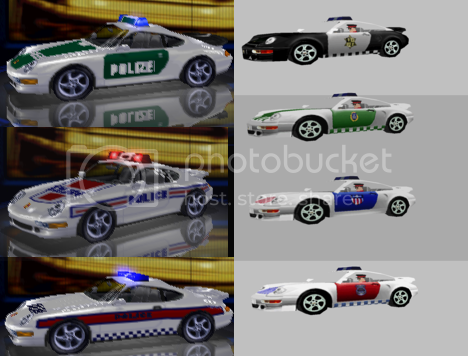 The PSX version has different traffic cars - simply just models re-used from Hot Pursuit 3. I have the UK equivalent - Road Challenge. Maybe it would be best just to include the original cars, rather than these add-ons and mods? @ J-2 - This game did not include tuning, but three basic, no-nonsense levels of upgrading. And can anyone tell me if there is a way to drive traffic vehicles on the Playstation version? Or was that only for the PC? Leoz wrote I have the UK equivalent - Road Challenge. Maybe it would be best just to include the original cars, rather than these add-ons and mods? All cars that are listed here are original vehicles. 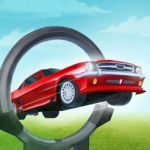 Some of them are cars made by EA which you could download later, like the Skyline or Lister. Some are region specific, the Ford Falcon and Holden are cars which you could find in the australian version only for example. No idea about traffic cars and the psx version, Id be surprised if you can. What an awesome game this still is. The DB7 is a downloadable car for the PC version of the game. On the PS1 version, it's included right away. I think we should better add pictures and from PSX, too. Just like NFS3. Also in PSX there are few specific bonus cars 'Made for game' which we must cover. In the PSX version, this database miss the Titan, Phantom, or the....ummmm helicopter(I guess the name is Whirly). But I know there's La Nina in the game. Have anything against to submit more clear and better pictures for some of the cars? Right now some are barely visible, shot during rain, fog, low resolution and quality. Should we also list the Race Bred Pro-Cup cars from the PSX version? In that case, there's 2-3 cars still remaining. 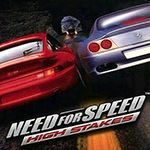 nfs.wikia.com/wiki/Need_for_Speed:_High_Stakes/Cars — Full car list. I had a copy of this game when I was younger, but I haven't seen it in years. I'm thinking of getting a new copy, but should I get the PS1 or PC version? Tuppence870 wrote I had a copy of this game when I was younger, but I haven't seen it in years. I'm thinking of getting a new copy, but should I get the PS1 or PC version? PC without a doubt. There are so many mod vehicles available it will blow your mind. I own the PC version and I have never played the PS1 version, but from what I have seen, the PC version might be better choice. This is one of the best NFS games in my opinion. I love this game more than most modern Need for Speeds, But I only have the PSX version. 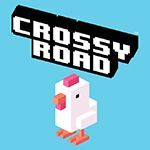 That of which freezes about 30 seconds after entering any cheat codes. Thus rendering many cars unplayable for me. . And my computer doesn't need any more damage done to it. So unless somehow I fix the PSX disc, I'm not going to get the complete "High Stakes" Expereince. I own the PSX version and they all look here to me. Psx version has coupe versions instead. Also F1 GTR is a different one. Does anyone want me to replace all of the pictures with ones from the PSX version. The PSX version had better car modeling. NazcaC2 wrote Does anyone want me to replace all of the pictures with ones from the PSX version. The PSX version had better car modeling. No it absolutely did not. Jaggy edges, holes, low res, it was way worse texture-wise. It's actually the other way around... None of the cars look like they should on the PSX. Point is, you should not replace with PSX shots. Never personally tried the PSX version so I quickly googled for some pics. Automotive Gaming wrote Never personally tried the PSX version so I quickly googled for some pics. PS1 Traffic is missing. It's the same traffic as in the PS1 NFS III. NazcaC2 wrote PS1 Traffic is missing. It's the same traffic as in the PS1 NFS III. I'll try to run a PS1 emulator and get some pictures. Just get a PSX to PSP iso, and boot it up on PPSSPP. Racedriver43 wrote Just get a PSX to PSP iso, and boot it up on PPSSPP. I would if I thought it would count. I'm pretty sure at least one person would be on my case saying they don't count. That and the fact the only version of the game on PSXtoPSP doesn't work. So I edited the traffic cars to have "Type [code] in the Arcade menu" and to playable because you CAN do that, But all the edits were denied...? Some of the cars need replacing due to the fact that they seem to be upside down, or they have damage. Most of the PSX traffic is still missing. Also, in the PSX version there is a "Race Bred Pro Cup" Corvette. Also, some cars that are convertibles on PC are Coupes on PS. Also, the pics for some of the cars are too dark, (Pursuit Corvette). The HSV VT GTS is missing (Australian PSX only). There also was a cup Skyline in the Japanese PSX release. NazcaC2 wrote Some of the cars need replacing due to the fact that they seem to be upside down, or they have damage. Most of the PSX traffic is still missing. Also, in the PSX version there is a "Race Bred Pro Cup" Corvette. Also, some cars that are convertibles on PC are Coupes on PS. Also, the pics for some of the cars are too dark, (Pursuit Corvette). The HSV VT GTS is missing (Australian PSX only). There also was a cup Skyline in the Japanese PSX release. I can handle anything on PC, But as far as PSX version stuff goes, not really. I don't have the Australian version, I can't run save games to get said Corvette, but what I can do is PSX traffic. In fact I had started collecting pictures of them but randomly stopped one day and never got the rest or uploaded the ones I had. and: "Need for Speed: Brennender Asphalt" - German title. The German title translates to "Need for Speed: Burning Asphalt". 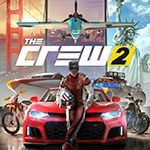 3 Bonus cars are added (Playstation only). EDIT: The HSV GTS is added (Playstation Australian only).